We are AKRIVIA, a young watchmaking atelier based in Geneva, founded in 2012 by Rexhep Rexhepi. Every AKRIVIA timepiece is conceived, designed and built entirely in-house, at our atelier in the heart of Geneva’s old town. As the launching timepiece of AkriviA, the AK-01 represents our values and our ambition. Contemporary designed, haute horlogerie timepieces created with respect for the exquisite traditions of Geneva watchmaking. 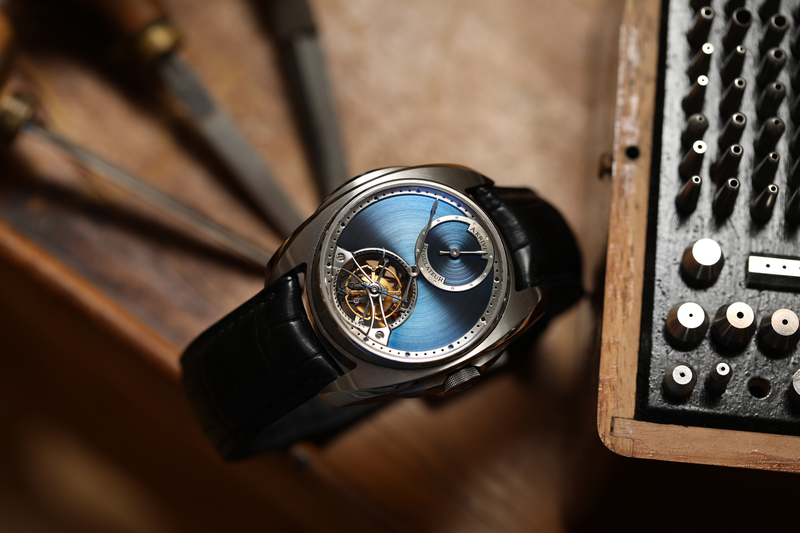 The Chronomètre Contemporain is the first watch in our founder’s collection, signed Rexhep Rexhepi.